Several weeks ago we have teamed up with the guys behind Makarska Riviera Beaches, a great Facebook page promoting beaches of Makarska Riviera. 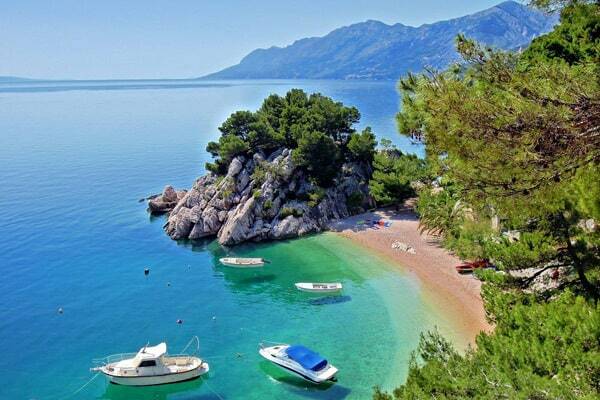 These guys shared with us some of the most beautiful, if somewhat still unknown, beaches in Croatia. This cooperation brought us also a nice friendship with Vice, a local behind Makarska Riviera Beaches. This guy has just released his smart phone application to help you navigate through the Riviera in a search of a perfect beach. 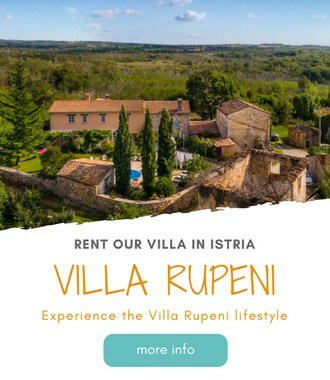 If you are planning to spend sometime anywhere in Dalmatia, this is a must have application for your holidays in Croatia. We are not in anyway compensated for this post. In fact we've purchased the application ourselves, and paid the full price for it. Why do you need this application? Simple answer to that question would be: you need it because these are the prettiest beaches in Croatia, and there are just too many of them to ever find them yourself. Let us explain! Makarska Riviera is an approximately 60 km long. This stretch of coastline hides the best beaches in Croatia. You heard maybe about Brela beach, famed beach on the Riviera, and the most popular beach in Croatia after the Golden Cape beach on the island of Brac. But, this area has over thousand beaches, more than any other place in Croatia. Other top summer destinations in Croatia, like Hvar town, Bol on the island of Brac, or Dubrovnik, don't have more than few dozens of beaches. Just for the fun of comparing, only one out of sixteen villages on Makarska Riviera has over hundred pebble beaches. There is no better guide to Makarska Riviera Beaches (in fact there is none). Regular price of application is 2.99 $. However, the application is FREE to download until the end of summer 2014 (don't forget that we've paid for it!)! Seriously, you should download it even if only to get inspired to visiting Croatia. You can download app from Makarska Riviera Beaches website. Is this a kind of app you'd be happy to download if visiting Croatia? Do you know of any similar beaches' app? Let us know in the comments below. Your blog has often shown how beautiful the beaches of Croatia are. This sounds like a very useful app, and I’ll have to remember it for when we are in the area. Interesting – I wonder why the iOS app is so much larger than the Android? Or does it expand in size as you use it? I feel like an app like this would be handy when trying to find the place. I have terrible track record trying to find good beaches. There should be similar apps for other countries! What a great app. Thanks for sharing. We will definitely use it next time we are in Croatia. It sounds like an incredibly useful app for when traveling to Croatia! 🙂 When we travel there someday I will definitely check it out! This is perfect! I’m headed to Croatia in lest than a month! Downloaded! They should make more of these apps! That would be incredibly helpful since everyone pretty much lives on their phone and it’s just so much easier. Really cool and useful app! Now I guess I have no choice but to finally take that trip to Croatia that I have dreamed of for so long! Wish I’d had this app last summer when in Dalmatia…not sure when I’ll get there again, but will be sure to remember it if and when I do. Great little app 🙂 Bet you had fun helping to put it together too! Good morning Frank in Croatia, cool. I love apps. Do you know the app ‘trumpet’ . It’s like Whatsapp and allows you to call for free between ‘ttrumpet’ users. Check it out. In Apple app store and elsewhere. So useful! I’m really bad with apps (I just have the usual suspects on my phone), this one sounds great! frank, Makarska is beautiful, and we loved it while we were there. I didn’t realize there were so many beaches…it sounds like a very worthwhile app. Looks about perfect for a warm-weather trip to Croatia. It’s encouraging to see this type of entrepreneurship anywhere in the world and these guys appear well-positioned with this app. Sounds like a helpful app for those traveling (or living) in Croatia! Croatia is definitely on my list. Your post and the beauty of your photos convinced me even more that I have to go there! I love great apps and if this one inspires me to visit Croatia (not that I need more inspiration – you have already inspired me! ), then I’m definitely going to go download it right away. It will certainly be helpful for when I do eventually get there. Thanks for the information and happy Sunday!